"What happens when the world stops caring?" The Care Bears Movie is a tale of friendship and caring where the famous bears once again take on dark forces to make sure there is plenty of love and friendship in the world. Friend Bear and Secret Bear travel down to Earth and meeting a brother and sister pair who really have no interest in making friends and are quite nasty. Just when they think they may be able to convince the children, Baby Hugs and Baby Tugs tamper with the rainbow Rescue Beam back in Carealot and transport Kim, Jason, and the Bears to Carealot. Children have never been to Carealot before and this proves to be an interesting challenge for the bears as they try to figure out how to get the children home and how to get them to care at the same time. Meanwhile, Tenderheart stumbles upon a boy on earth who has come across a cursed diary that he opens and releases evil spirits that start sucking all of the caring from the whole world. By way of the Forest of Feelings, Kim, Jason, and the bears make their way back to earth just in time to help stop the boy from riding the world of caring forever. 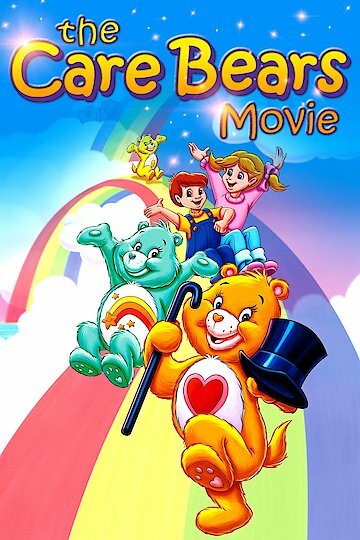 The Care Bears Movie is currently available to watch free on YouTube and stream, download, buy on demand at Amazon Prime, Amazon, Vudu, Google Play, iTunes, YouTube VOD online.